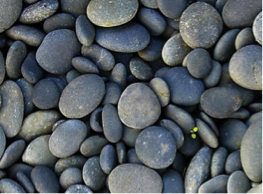 The river of stones is a mindful writing challenge. Properly notice one thing each day, and write it down. In the dark - light bright on computer screen - brighter within - warming cold hands, the softness of red flannel against a throat just slightly sore, no party hats, or champagne, just this simple flannel embrace, eyes softly heavy - ready now - for sweet sleep. In the mirror that was my grandmother's once the big marsh tree's thick bare branches wave in the wind against a clear blue cold sky - brown, blue , and piled on pleasant plumpness pile of bright white new shammed pillows that will crisply make my bed on this my father's birthday. The IPAD on my nightstand black against its clean white cord is freed and I write feeling him all around me in and of everything just as he always old me it would be. With one eye closed the bulbed light from the lamp warms - bright and clear enough to be the Caribbean sun- no longer longed for in this quiet wood furnitured study - cold wind whistling out nearby black windows the sounded ping of heat pulsing through the radiators. With closed eyed breath the wind is surf, rolling gently toward and away, and back to claim me again. I need not leave, even with eyes open to be where I want to be - all is perception. A simple flannel embrace...love it! Not loving the slightly sore throat. Hope you feel better soon. Happy New Year right back to you!